Monday Night Football in Seattle. Lake City Holiday Project, Hut! Hut! 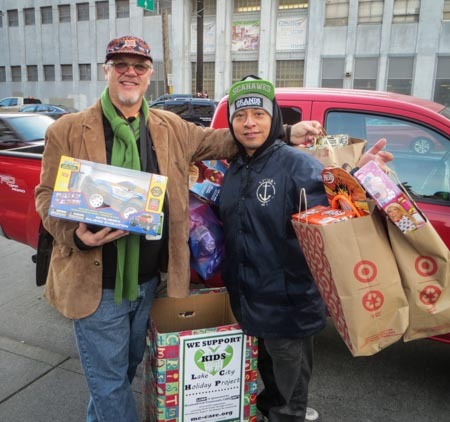 Whether its 1st down or 3rd and long yardage, Humberto M (pictured, right) has been a great supporter of the Seahawks AND the Lake City Holiday Project. Along with folks from the Emerald City Law Group, their tailgating experience proved productive for the Lake City Holiday Project. Crazy fun, thank you and great game Seahawks.